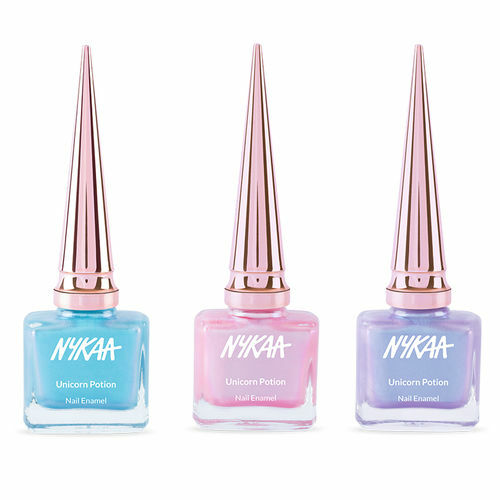 Nykaa Unicorn Potion Nail Enamel - Pink Pony: In our world, everyone is a pony, and everyone chases butterflies! Make your dreams come true with Nykaa Unicorn Potion in Pink Pony. This pink hue has beautiful purple and pink holographic pearls, which will make your mani shine like star! If your heart doesn't melt with this shade, we don't know what will!